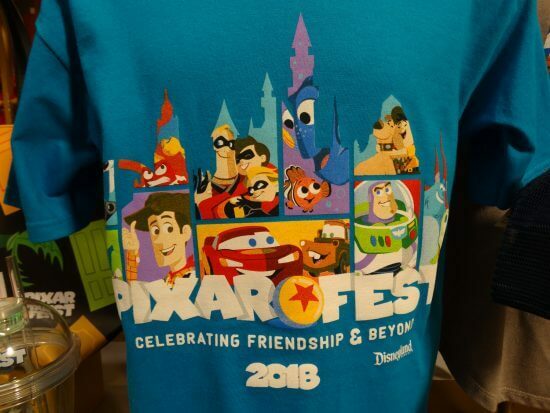 Throughout this coming spring and summer there will be no better place to be for Southern California Pixar fans than Disneyland Resort, where the highly-anticipated Pixar Fest celebration will bring a wide variety of experiences starring everyone’s favorite Pixar characters to both Disneyland and Disney California Adventure theme parks. 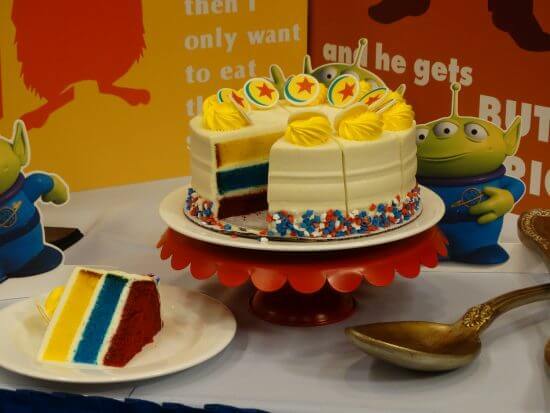 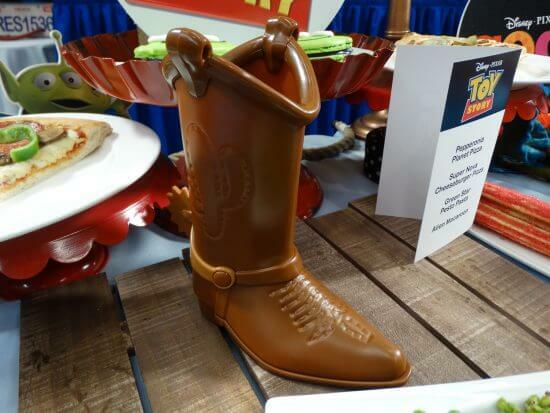 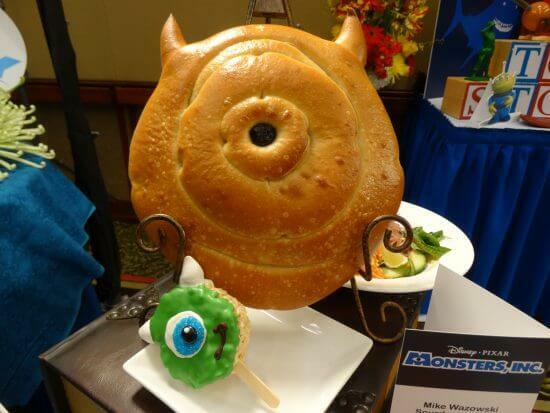 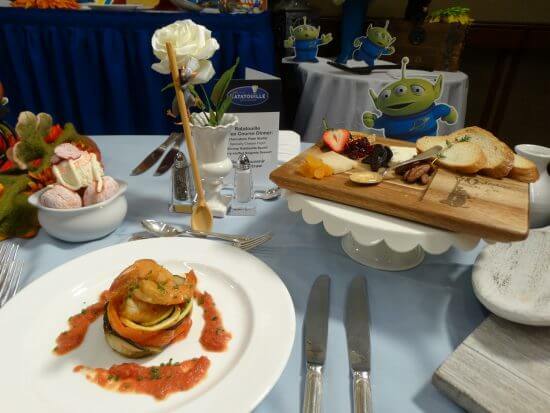 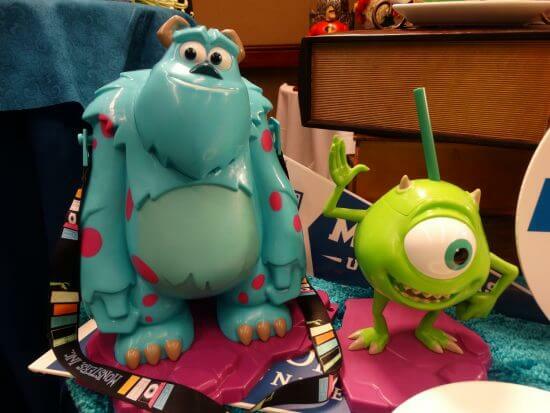 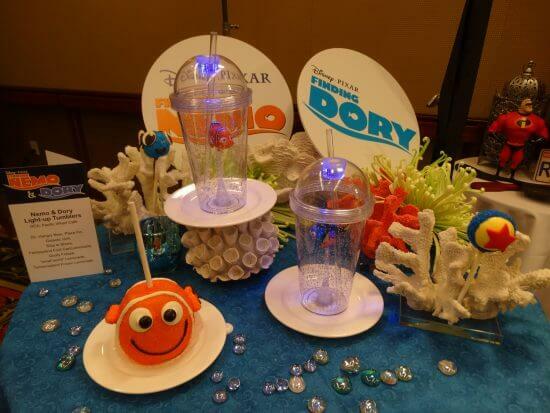 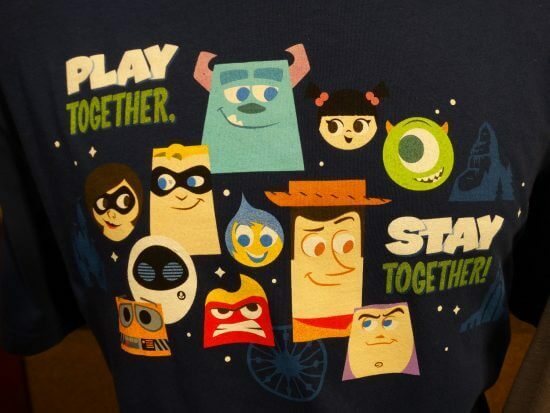 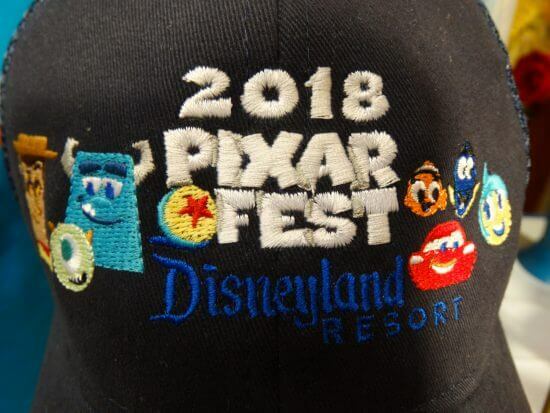 Over this past weekend I attended a Pixar in the Parks media preview at Disneyland Resort that included a big reveal for the festival’s food and beverage offerings, as well as the logo merchandise which will be available for purchase during the event. 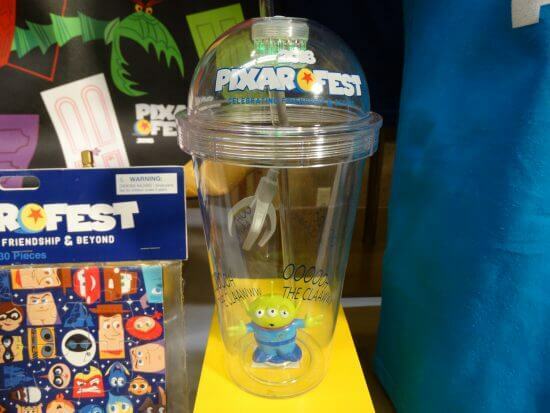 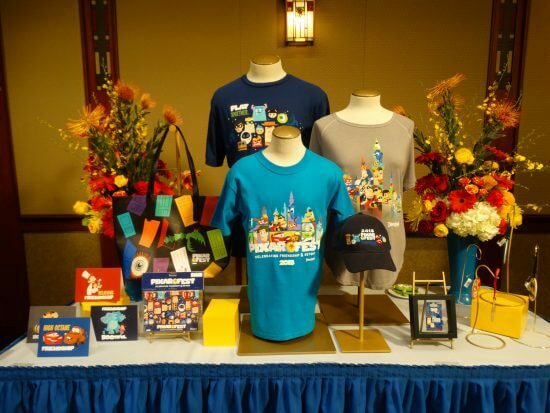 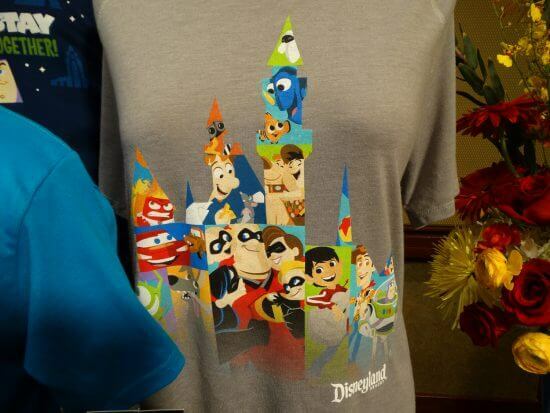 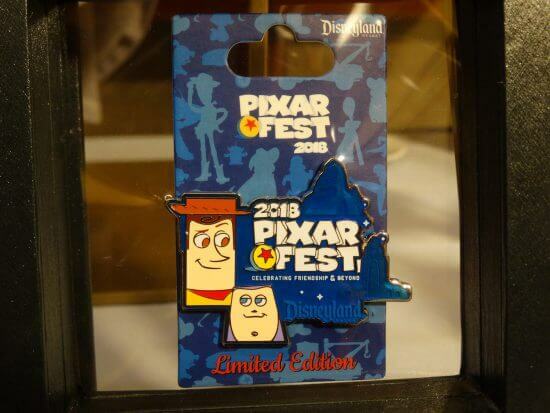 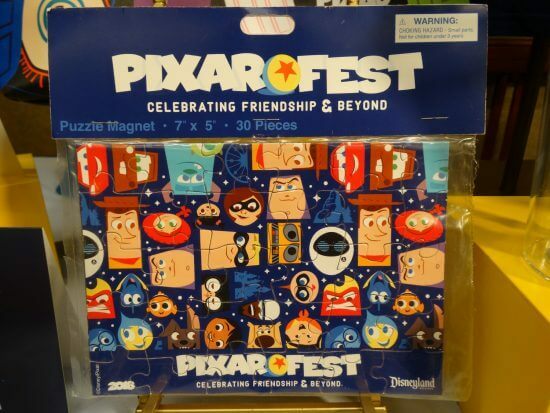 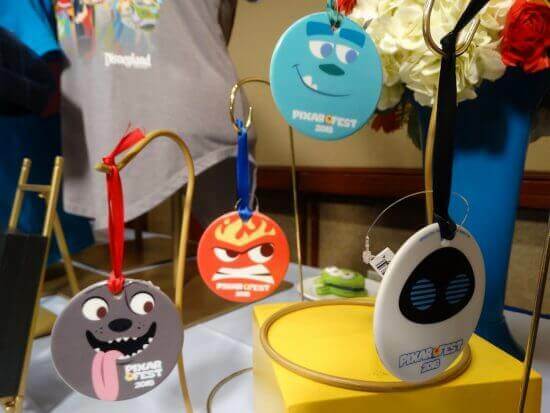 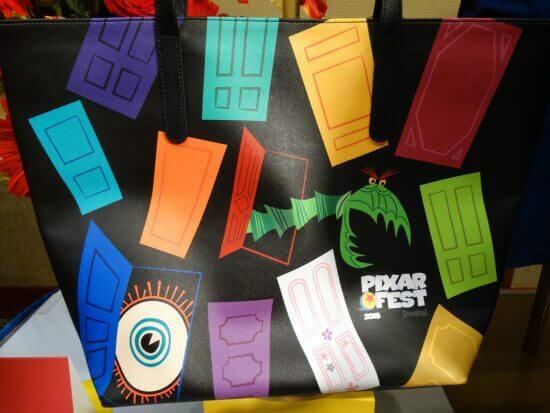 Items in the Pixar Fest logo-branded merch include ornaments, a pin, a cap, t-shirts, a tote bag, an Alien tumbler, a puzzle magnet, and greeting cards. 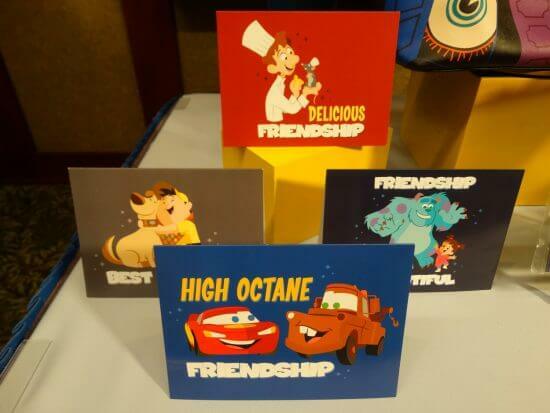 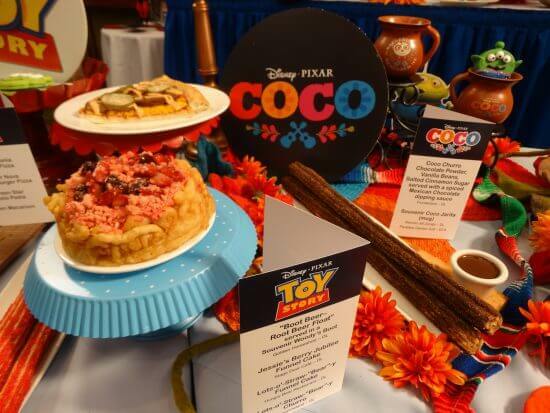 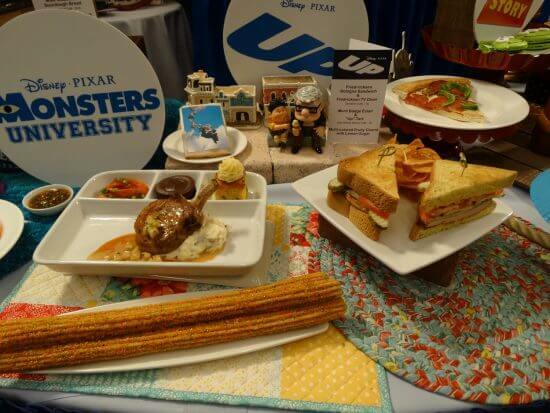 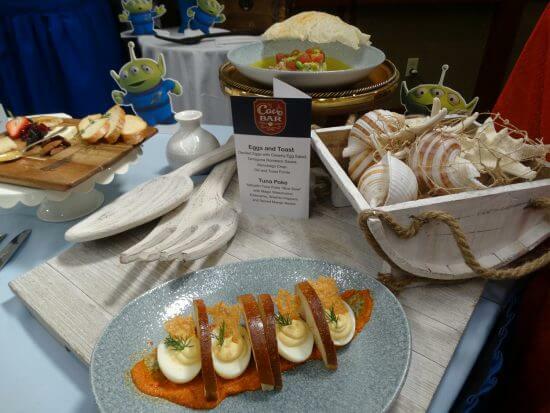 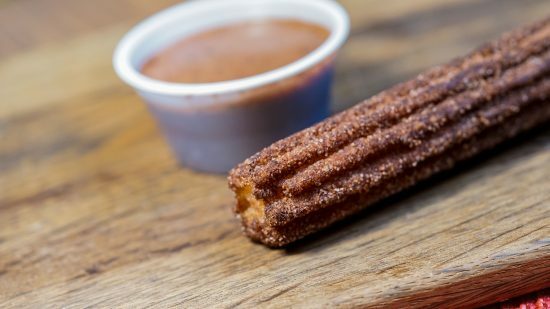 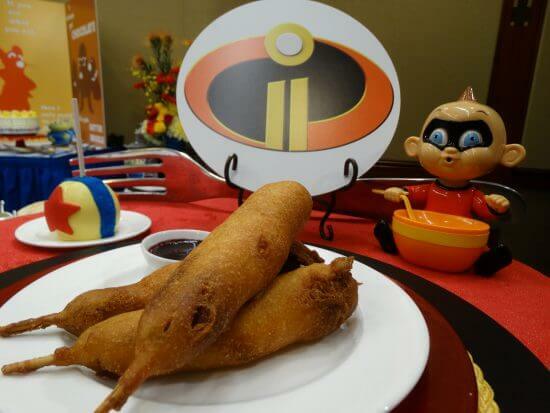 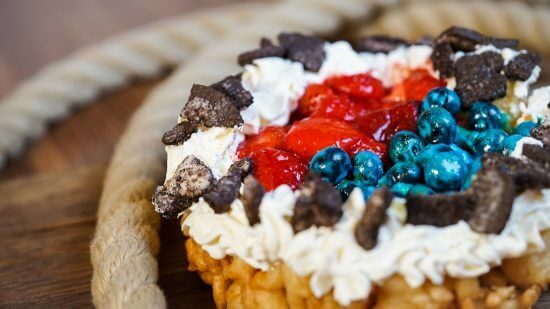 Over in the food and beverage display, we got our first looks at three-tiered Pixar cake, Jack-Jack’s cheese dogs, two new dishes (eggs and toast and tuna poke) coming to Cove Bar before it completes its transformation into Lamplight Lounge, the “Ratatouille” three-course dinner, “Coco” churros, a souvenir “Coco” jarita, Boot Beer with a souvenir Woody’s Boot, Jessie’s Berry Jubilee funnel cake, and the Lots-o’-Straw-“Bear”-y funnel cake and churro. 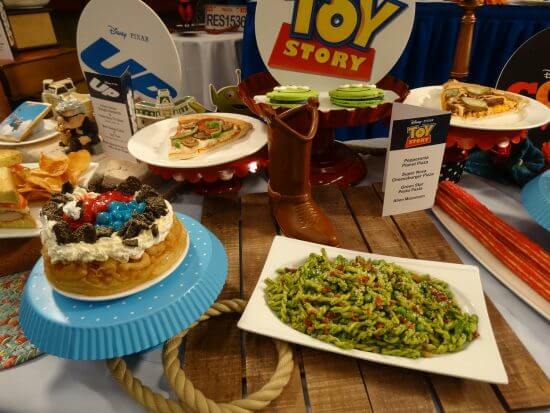 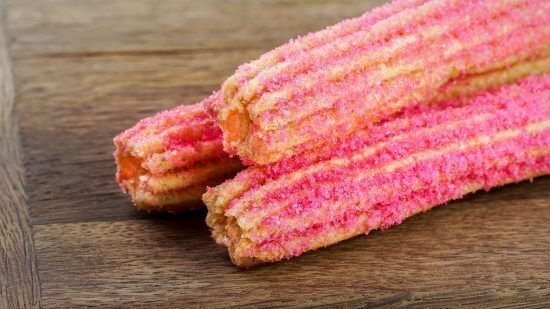 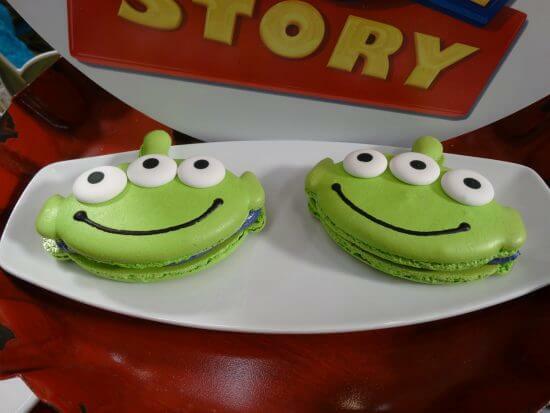 Also available will be Pepperonia Planet pizza, Super Nova cheeseburger pizza, Green Star pesto pasta, Alien macaroons, the Fried-rickson bologna sandwich & Fredrickson TV dinner, Merit Badge eclair & “Up” tart, multi-colored fruity churro with lemon sugar, Mike Wazowski sourdough bread, Nemo and Dory light-up tumblers, and the attractive-looking Sully popcorn bucket and Mike Wazowski sipper. 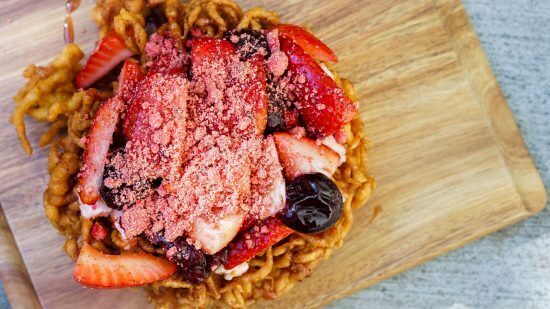 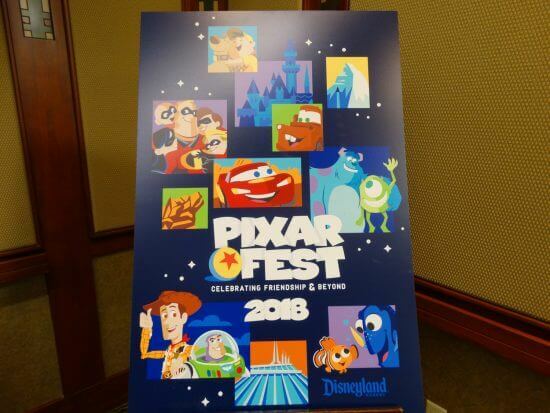 Pixar Fest begins Friday, April 13th at Disneyland Resort in Anaheim, California.